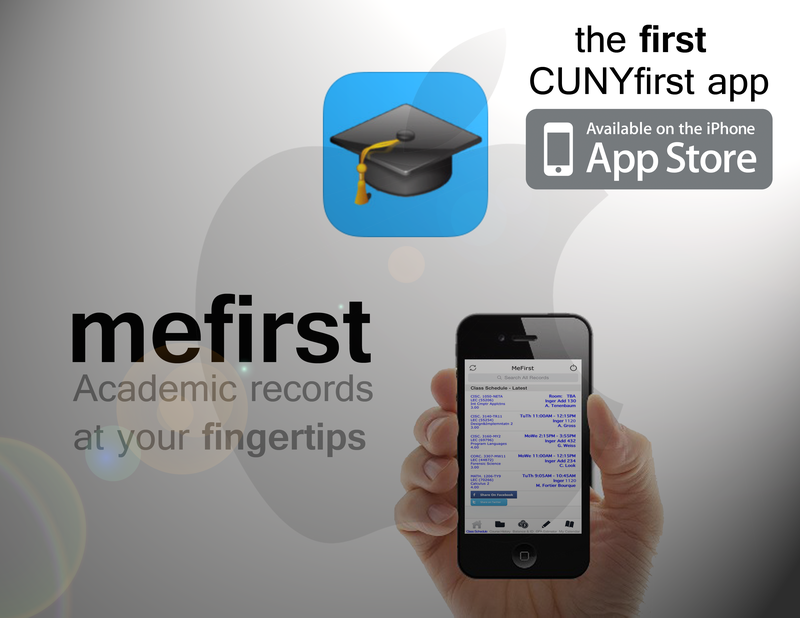 Over the Summer of 2014 I developed an educational iOS application for CUNYfirst, a universal website used by CUNY college students, called MeFirst, which allows students to access their academic records such as latest class schedules and grades in a user-friendly manner. 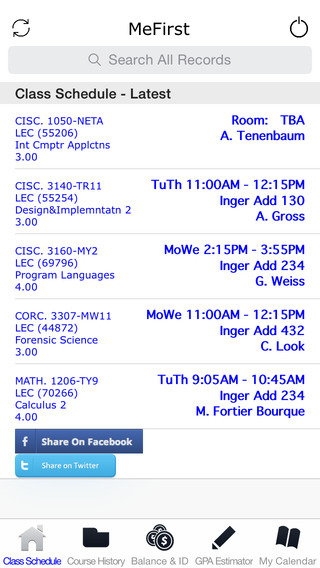 Future updates to the application are scheduled such as class search and enrollment. 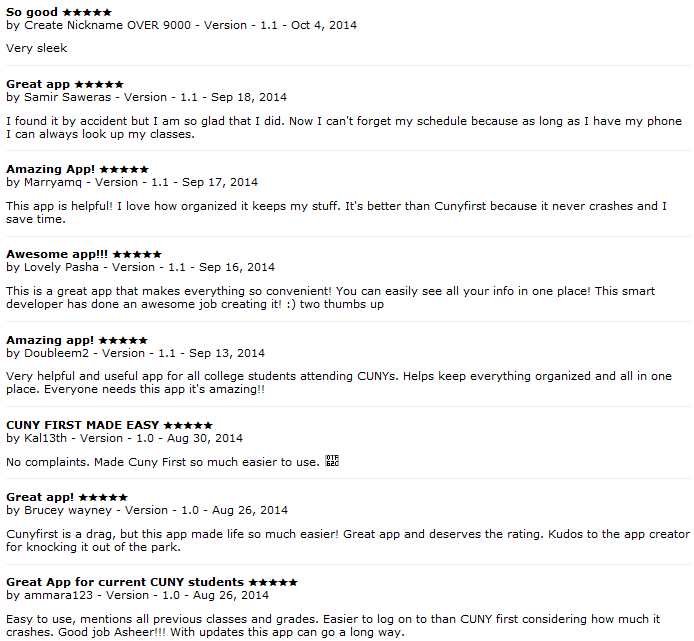 When CUNYfirst was down, it became a useful resource for students when wanting to view their class schedule. Within the first week, it obtained over 1000 downloads. 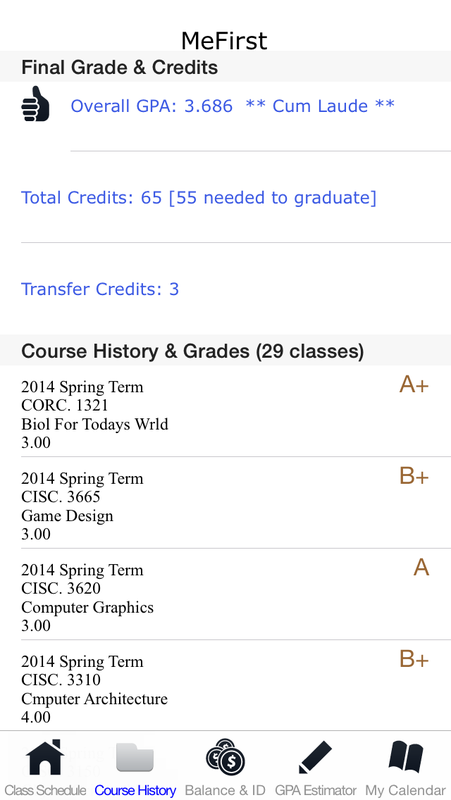 An android version is currently in development.